It’s officially spring, which means a return to the outdoors after a season spent inside escaping brutally cold weather. Outdoor fun could mean entertaining guests in the backyard on a Saturday afternoon or keeping the kids occupied during a day trip to the beach. Escalade Sports offers an expansive range of outdoor games and incentives that suit every recreational need. Viva Sol employee gifts include classic beach and lawn games, like the premium Washer Toss, which can be easily transported with heavy duty hemp rope handles and a carry case, or the regulation-sized Resin Bocce Set, featuring eight regulation-sized bocce balls, a pallino and a beautiful oil-rubbed wood case. Regardless of your skill level, Viva Sol games make for the perfect beach incentives for the entire family. Zume Games’ range of outdoor games are ideal employee rewards for stoking the competitive spirit between friends or family members over Memorial Day weekend. The Zume Tenniz set is a fully portable setup that works well in driveways or parking lots, features a sturdy 12’ net, and comes with everything you need for a match, including rackets, foam balls, and a convenient carry case. Zume Games also offers sets for bottle battle, pickleball and badminton. Reward the active members of your team with a game from Zume. The best outdoor experiences start with Onix pickleball. Though pickleball has been around since 1965, its popularity has exploded in the past several years. Learn to play this summer with premium pickleball products from Onix. 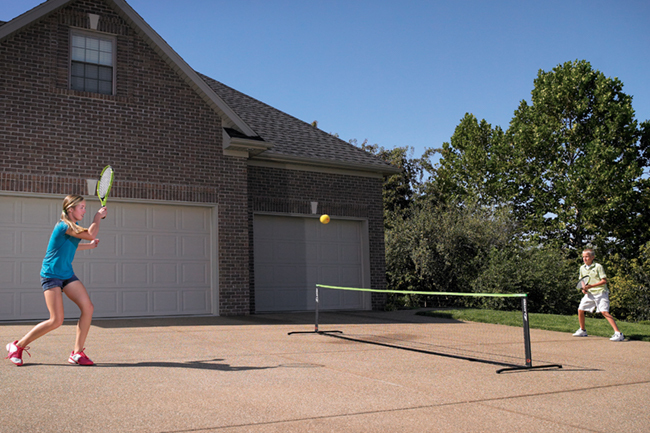 The Portable Pickleball Net works equally well in your driveway or the local park. And, flesh out your supplies with the Recruit Starter Set and Pickleball Ball 6 Packs in orange or yellow. Instead of summer break on their smartphones and tablets, get the kids outside with premium trampolines from Vuly. There are several options, like the Vuly Lift Pro, which has durable, ultra-fine netting, self-closing access, and double-sided safety pads. Vuly also offers a full Pro Swingset, allowing kids to push their limits while surfing, skating and snowboarding at home. Our full lineup of Vuly trampolines includes the size and style that is just right for summer fun. 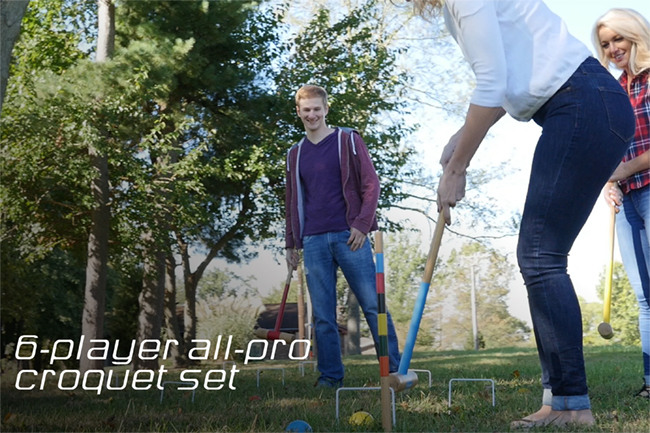 Triumph Sports has dozens of portable classic games that can be transported everywhere, from the picnic to the playground, including the all-pro 6-player Croquet Set, the ultra-durable Horseshoes Set, and a set of classic-inspired Soft Tip Sky Darts. Triumph Sports features games that make it happen, and our selection of Triumph Sports corporate gifts allow you and your family to join in the fun. These outdoor incentives are perfect to keep your team, business partners, or best customers moving all summer long. We’re proud to offer the best gifts, better service, and we’re here to help you make the right selections. Call us at 888-862-9283, contact us today to explore our full Escalade Sports catalog, and learn about our Preferred Pricing Membership.